The Martin Custom D Classic Mahogany, while not flashy in appearance, has a tone so sweet it can make a grown man cry. With a solid Sitka spruce top and solid mahogany back and sides, the Custom D Classic has a distinct, clarity of sound that emphasizes the bright, airy high notes and puts you in mind of a xylophone being played by an expert musician. While the bass notes on the Custom D Classic are not as loud as on other models, the balance of tone more than makes up for it. But it isn’t just the tone that will have you smiling. The Custom D Classic also has an incredibly supple feel in your hands. This could be due to the modified low-oval mahogany neck. But regardless, the Custom D plays like a dream, with hardly any effort producing those clear, bell-like tones. The Custom D-15 is a fingerstylist’s dream, not only because of the pure ease of playability, but because of the clarity of sound produced without the need for a pick. And while picking works on the Custom D, overly aggressive picking or strumming translates into mushy distortion once you get above the tenth fret. So taking it easy will produce the best sound with this beauty. Comparing the Rosewood to the Mahogany Martin D15 Custom? The Rosewood has more ring and volume whereas the Mahogany has a warm, smooth tone. 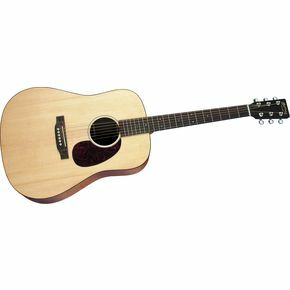 The Martin D-15 Custom Classic, priced at <$1,000 (including a hardshell case), is the no-frills, entry-level model of Martin’s solid wood guitars. This baby will have you smiling at more than just its tone.